From capturing vintage frames in Mumbai to posing against the dazzling backdrops of New York City, we present some of the prettiest pre-wedding shoots that evoke romance in all its hues. 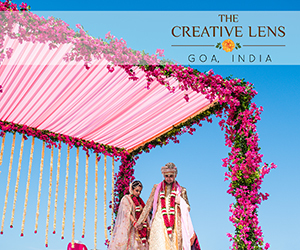 Punita and Omkar took photographs across Mumbai and Lonavala. Shot by KnotsbyAMP, the images exude a romantic vibe and Team KnotsbyAMP tells us how they did it, “Omkar and Punita wanted an unusual and different pre-wedding shoot. We considered many ideas from projecting their personalities, shooting entirely in the studio to an intimate boudoir shoot. We finally ended up doing a mix. The photographs feature their chemistry at Mumbai’s iconic Gateway of India, a comic re-enactment of how they met via a mutual friend, their first kiss in a ‘kaali peeli’ and finally an intimate shoot in the beautiful property of Seven Sands Ville in Lonavala which culminated with a re-staging of ‘Tip Tip Barsa Pani’ from the movie Mohra”. Priyanka and Varun’s pre-wedding photo shoot in New York City and other charming locations in ‘The Big Apple’ was skillfully captured by Knotting Bells. New York’s compelling backdrops – Times Square, Brooklyn Bridge, etc – prove to be striking canvases against which the photography team created artistic images. 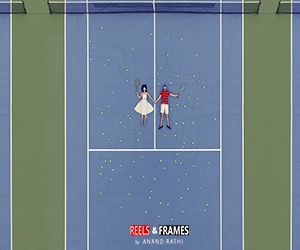 The images capture the grandeur of the city and the scale of the couple’s emotions and happiness together resulting in unique frames. 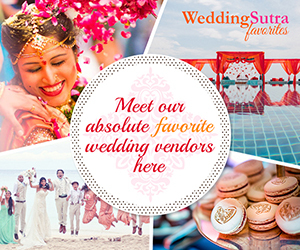 Imagine sharing sweet nothings against the historic backdrop of Vasai beach and fort! Or enjoying a tender hug while you enjoy the spectacular view of Marine Drive at night? 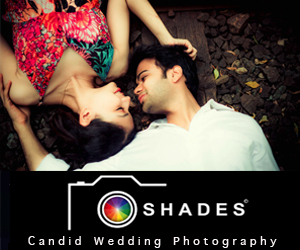 Anjal and Sanyam experienced all this and more at their pre-wedding photo shoot captured by Photosynthesis by Aditi. 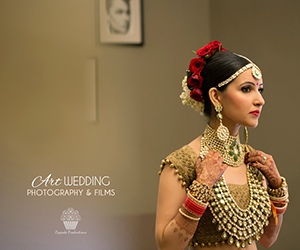 Aditi created settings that merged diverse elements in one stunning frame. This talented photographer gave it her all and made every moment a memorable keepsake for this couple. Bright colors and warm lights spell happiness in Divya and Harshil’s photoshoot. The smiles are contagious as Say Cheeze Photography documents their love story. Divya’s wardrobe matches the environs perfectly and their chemistry adds a whole lot of charm. The photography team deftly captures their love against beautiful backdrops. The series evolves from casual stances to gorgeously posed photos that embody elegance and poise. It’s a fine balance between carefree and classic moods in a series that maintains a common synergy as well. Tiaga and Kritika’s shoot, however, manages with ease. Shot in Alwer, Rajasthan, SL. ART. PRODUCTION focused on all there was to celebrate with clever use of colors, funky frames, classic poses and locations across landmark structures and lush environs. They managed to fully convey aspects of their journey and the fun, colorful nature of their relationship. This entry was posted on Tuesday, September 25th, 2018 at 4:11 pm	and is filed under Pre Wedding Photoshoots. You can follow any responses to this entry through the RSS 2.0 feed. Both comments and pings are currently closed.